iOS 11, which will be released as a public beta later this month and is due out in final form this fall, doubles down on productivity, offers a more intuitive UI, and ensures that the iPad Pro can actually replace a PC for the vast majority of worker tasks. It didn't help that Apple initially positioned the iPad as a consumer device, one for viewing content rather than creating it. Despite Apple's efforts to make iOS devices true enterprise citizens -- and it's had a fair amount of success doing so -- the belief persists that the iPad isn't a PC (or Mac) and therefore is a secondary device rather than a primary computing solution. Within that debate, there's a nugget of truth. iOS is, and always has been, a mobile OS. It was originally designed for a phone, where the capabilities needed for business are rather different. We don't expect to do 3D modeling or write long documents or presentations on a phone, despite its processing power and today's larger form factors. Apple also made an effort to ensure continuity of user experience across all iOS devices, which includes devices with displays ranging from four inches to almost 13. Apple has been largely successful in doing that. But trying to keep a single user experience across those form factors and use cases had the effect of hobbling how users, particularly business users, could be productive on the iPad. iOS 11 breaks that tradition by delivering a much more capable, even somewhat desktop-like, user interface on the iPad compared to the iPhone. From what we've seen so far, Apple managed this without truly disrupting the relation between the iPad and iPhone. Apple's decision to deliver a more unique experience on the iPad this year also had a side effect. Many of the newly unveiled interface elements in iOS 11 on the iPad take design cues from macOS. Drag and drop, the on-screen Dock, the Files app, the ability to have multiple paired apps and slide between them, all are strongly reminiscent of their desktop counterparts. In making the iPad more capable, it's becoming more Mac-like. If you put Apple's product lines side by side, there is now a very effective and obvious progression of user interface from desktop to tablet to phone to watch. This gives all of Apple's products a greater sense of cohesion. And it strengthens Apple's ecosystem because one device leads so naturally to the next. That's even clearer when you consider services like the Continuity features Apple released two years ago, or even the ease of setup for products like the Apple Watch and AirPods. 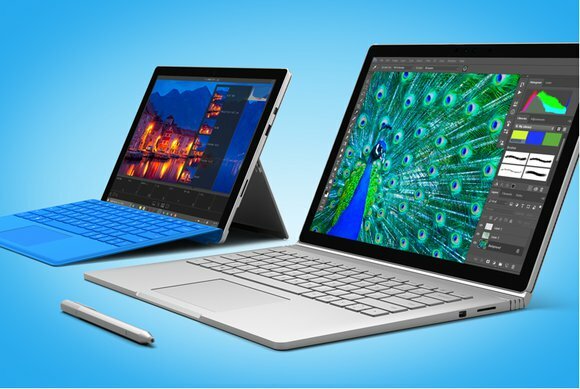 Microsoft's Surface Pro 4 and Surface Book. Apple is certainly trying to cement its position in enterprise mobility and take a share of the enterprise desktop market. What's interesting is that Apple and Microsoft (with the Surface line) both appear to be aiming for the same sweet spot: a device that combines the best of desktop productivity, intuitive user experience, and integration in the 21st century enterprise stack. While Apple started with a completely mobile platform and refined it into a powerful business solution that supports enterprise management, Microsoft started with the traditional desktop and then attempted to mobilize it. Both companies have made missteps along the way. For Apple, that was restricting iOS as a single user experience, regardless of device. For Microsoft, it was pushing too far, too quickly, with Windows 8. iOS 11 and Windows 10 represent both companies' attempts to course correct and deliver a next-generation computing experience that balances the best of both worlds, mobile and desktop. Nowhere is this course correction more visible than in enterprise device/PC/Mac management. Microsoft is pushing for Windows 10 to be managed using EMM rather than the heavier solutions PC management has required in the past. That represents a bit of catching-up, given that Apple began that journey six years ago with macOS Lion. But it's also a change that will eventually change how IT manages PCs. This is significant because it goes to the heart of an issue I discussed two years ago: that EMM is a significant shift from Active Directory group policies and SCCM. Microsoft's change in strategy, while perfectly reasonable, actually helps Apple. If IT departments need to shift to EMM as their primary PC and device management strategy, a lot of the barriers to Apple devices begin to fade away. The same software can easily manage all mobile devices, Macs and PCs. By focusing on EMM as a total management approach, businesses can become even more device agnostic -- allowing workers to be more productive on the devices they already have. 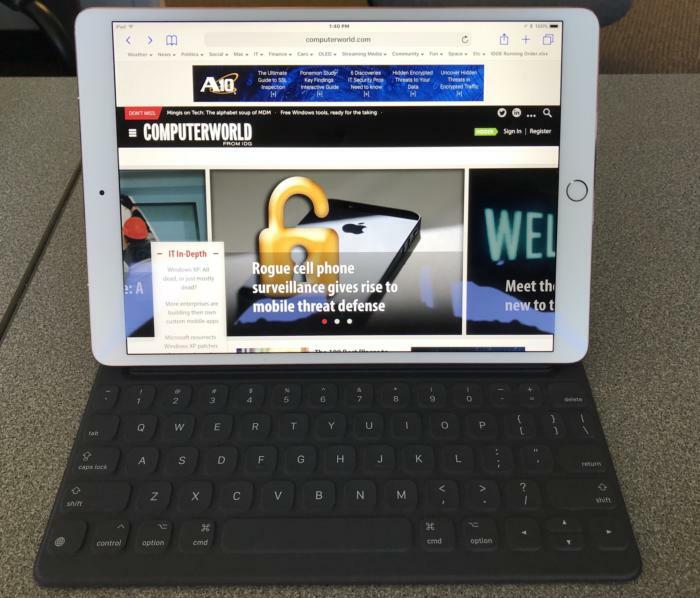 The newest iPad Pro -- when combined with the upcoming iOS 11 -- makes for a powerful business device. The reality is, we're fast approaching a workplace in which user choice may dictate the device of choice -- and IT will be able to readily secure and manage any platform. That changes a lot of the dictates of traditional operations, and frees up workers to be even more productive.